11:58AM local time of Hanoi, plane going back to Manila. Booked this trip last year and I'm doing backpacking again with my father! Yup, the last time we did this was when we visited different cities and towns in Thailand. (Bangkok, Mae Sot, Chiang Mai, Ayutthaya) And backpacking is no joke especially if you're a maarte person like me. Public toilets, guest houses where you don't even know if the toilet is working properly, and to top it all off? The limited money we have (budget travelling saves us wanderers as we are always broke. Lol!). To say the least, people only see what is in the picture, they think it is fancy. What they don't know is the story behind the picture, on what it took to get that amazing shot. I usually travel on a budget. I mean, sometimes I am willing to pay for a good accommodation but for this trip, we just really have to budget as we already booked a ticket to Luang Prabang from Hanoi, which in my case is my first time to book a flight without promos or seat sale. It wasn't part of the plan at first as I was considering the bus. It was obviously cheaper and well, it seems like it would be easy given that I had a lot of experiences on an overnight train and bus when we were in Thailand. But! Upon thorough research, it seems that it is not possible for us to take the bus as the land travel time is around 25-30 hours! Like hello?!!! That would mean a lot of wasted time inside a rectangular moving box with strangers all around you! Not mentioning that the bus doesn't have a toilet so for girls like me, it would be really a hassle to pee just anywhere the bus stops. I would probably dehydrate myself to death so just not to piss. So there. It isn't hard to budget travel around South East Asia as it is relatively cheaper compared to other countries. And Vietnam? One of the best yet cheapest cost of living you can encounter. We arrived in Hanoi at midnight of March 22. Noi Bai International Airport is quite far from the old quarter wherein if you will visit Hanoi, this is the center of everything. Attractions, cheap to high-end hotels, travel agencies, shopping area, bars, cafes, restos, everything. This is where you will most probably see Anthony Bourdain if he happens to be in Vietnam the same time as you are in Vietnam. 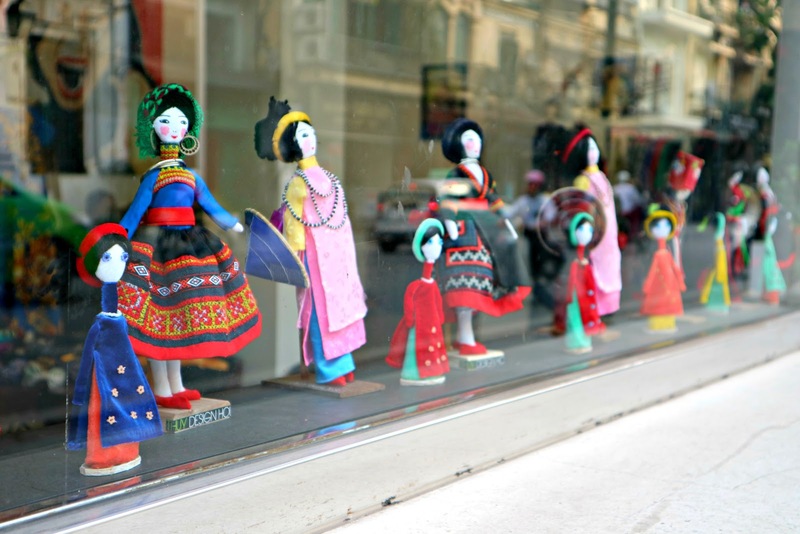 It has narrow streets but with bustling city life that comes from the different streets which have its own specialty. The street names even say something on what was offered on that particular street. Our airport offers airport transfer but I just learned it before we depart Manila. I still tried to email them but I didn't receive a reply upon landing Hanoi. So we took the cab going to our hotel. Thank God it didn't rip us off or pulled off any scam. I read that there a lot of taxi scams in Hanoi and it is best to always be vigilant! If you're traveling to Hanoi, it costs roughly around 300000 to 350000VND to travel from the airport to the old quarter. If it is more than that, ask the driver why is the meter going too fast. As for the hotel, we booked a 2 night stay at Helios Legend Hotel. Thanks to my points also from my employer I got to use an Agoda voucher worth P3000. Hihi. The service was nice. Upon arrival, the lights are off and the hotel seems like closed from the outside. But I think it is pretty normal to hotels in Vietnam as when we travel to Ho Chi Minh city last 2015, the hotel we stayed at also had its lights off when we arrived. Our arrival was also midnight so maybe they're just conserving energy? I don't mind though but they could just probably put an indicator outside or anywhere in the lobby that there's a staff inside. The one I booked was only a single twin bedroom but I think we just got upgraded as the room given to us was huge! It's not the one I booked. It even has its own living room. But the downside was it was reallyyyyyy~ noisy outside! Probably from a nearby bar or club. It went out after 3 AM though. But can you imagine? We're already tired from the flight and we still have to endure the noisiness coming outside. This is now the exciting part, touring the city!! 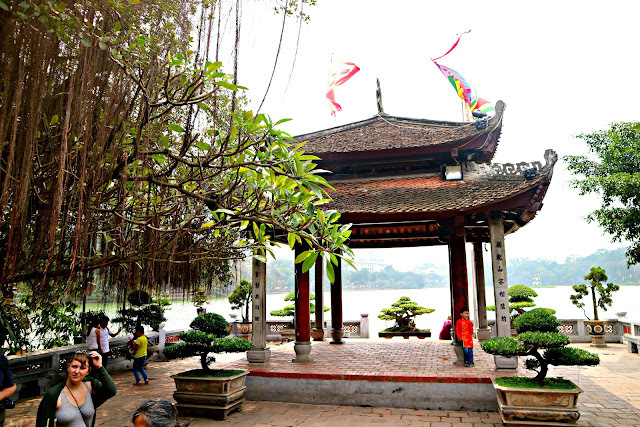 Our first stop for the day was Hoan Kiem Lake and Ngoc Son Temple. 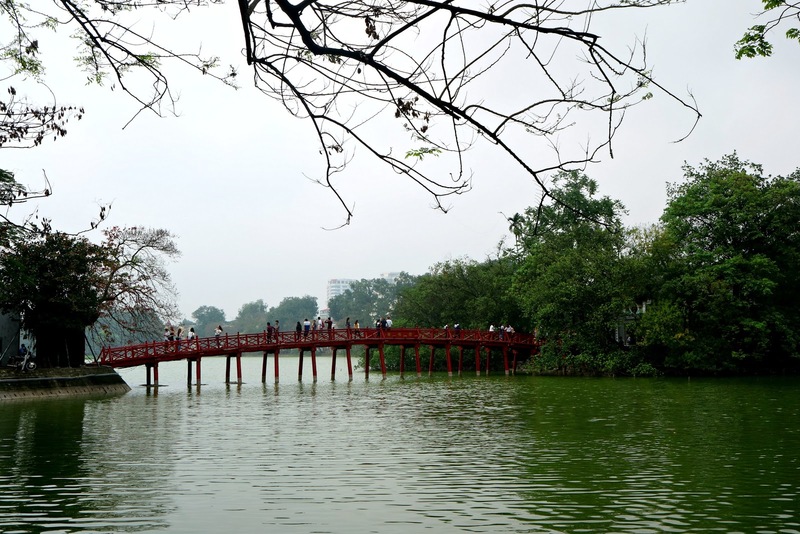 Hoan Kiem Lake is the center of attraction in Hanoi. Almost every blog you will see includes Hoan Kiem Lake on the list of things to see in Hanoi as it is easy to see and you can't possibly miss it. 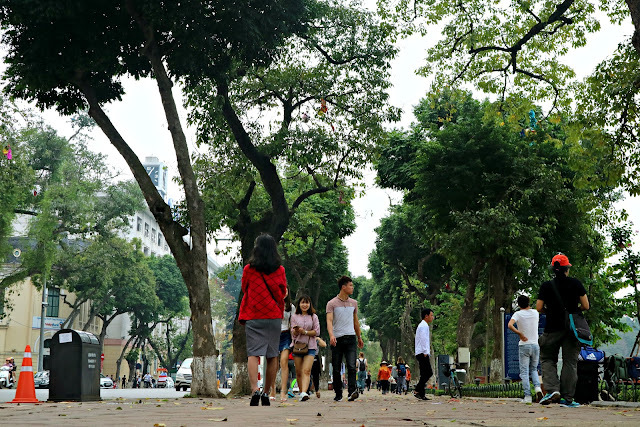 Surrounding Hoan Kiem Lake is again, different shops and restos. Cool tip: There's a free walking tour around the city. 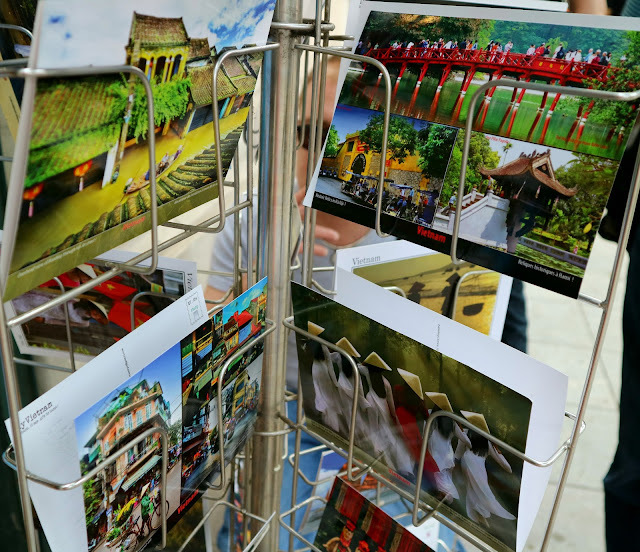 Just look for the tourist information near the Hoan Kiem Lake. 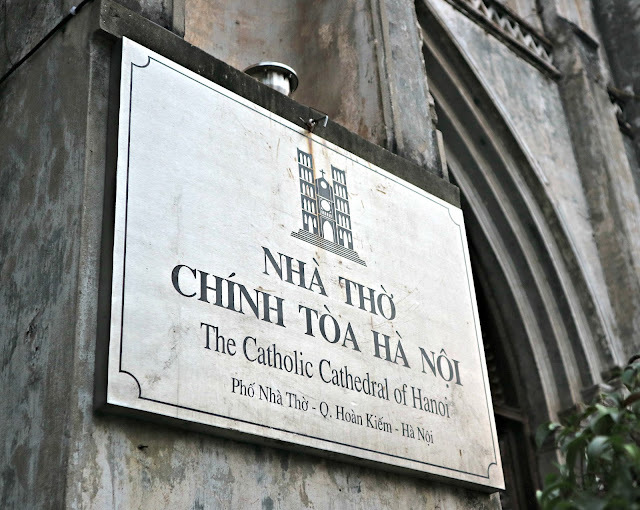 Exact address is 28 Hang Dau St., Hoan Kiem Dist., Hanoi. For more info, you can also email them at tourcenter-hanoi@vn-tourism.com. They also have a bicycle tour which is free but the bicycle rent should be shouldered by you, of course. There are many foreigners around. Probably because this is a famous destination for backpackers and travelers. Best to go here in Hoan Kiem Lake is early morning so it wouldn't be crowded yet. The lake was very peaceful. 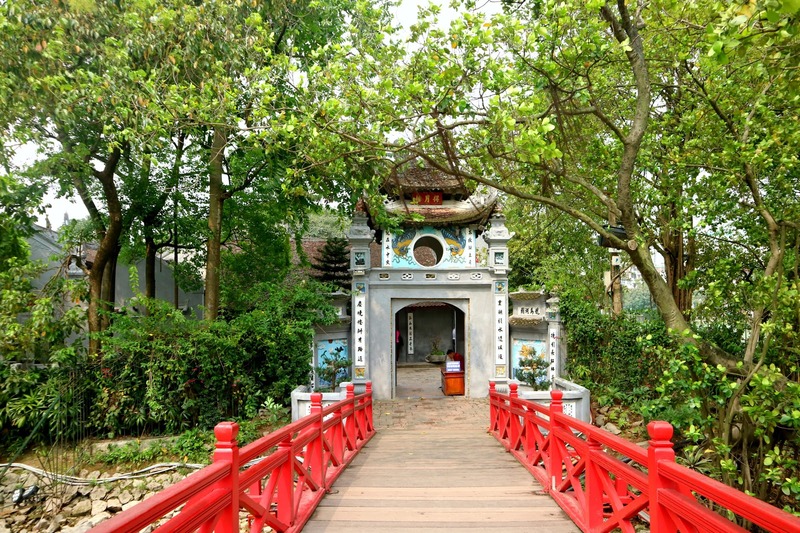 Ngoc Son temple is found at the center of the lake and there's a 20000VND entrance fee or P45. I must say, the entrance ticket is really affordable and reasonable. 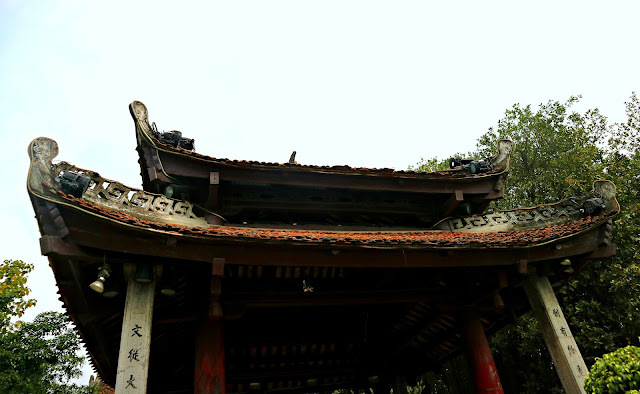 There's a spot in the temple where you can clearly see the Turtle Tower (Thap Rùa) on top of a small island, also found at the other side of the lake. The temple also houses many buddha statues wherein if you will ask me on how many temples and pagodas we saw during the whole duration of our trip, it was definitely A LOT. 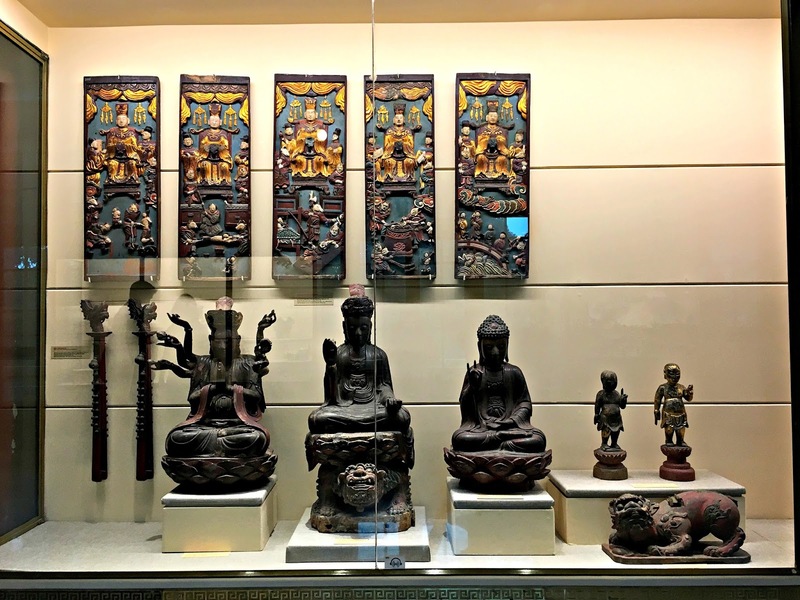 Vietnam, Laos, and Thailand have its own interpretation of Buddhism. That when you visit all these places, you will certainly get used to it. But I must say, every temple is unique. And no matter how many you've seen for the day, you will sure turn your head when you see one again. The Huc bridge is the one connecting the temple to the main road. So if you like watching people or just want to relax, then grab a Hanoi beer and sit beside the lake. Our next stop was the Hanoi Opera House. This building was famous for its exterior wherein it is similar to the buildings in Europe. And why wouldn't it? 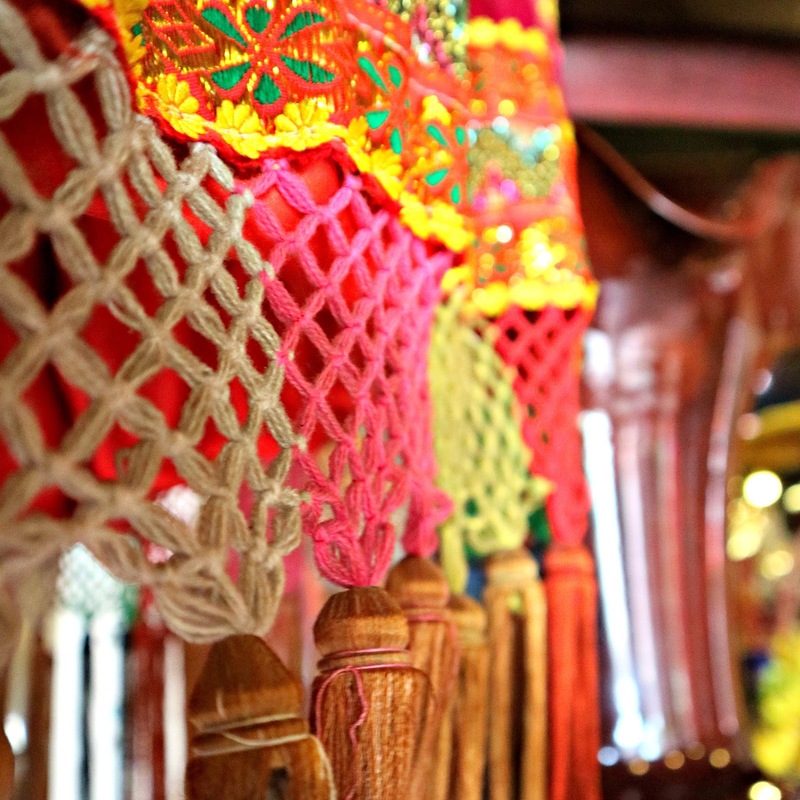 It was made during the French's colonization in Vietnam. Funny thing was we got lost finding this building and in the end, we weren't able to go inside as only the viewers of the shows can go inside. Perfectly fine though. I don't mind getting lost because it is part of traveling. And also, while getting lost, we found National Museum of Vietnamese History. And much to my surprise, Vietnam also has a long history! We got into the museum at around 12 noon and well, staffs have lunch breaks too so the museum was closed and will open again at 1:30 PM. And since it was lunch time, we decided to eat lunch around the vicinity. I was looking for a Vietnamese food or at least a Vietnamese restaurant but I couldn't find any. There were Japanese resto, resto that offers steaks, coffee shops in this particular street but no Vietnamese food. Luckily, while browsing the menu in this particular steak restaurant, we happen to stumble with a Filipino waiter. He works for the Steak restaurant. He probably heard us speaking Filipino so he greeted us and led us to a good Vietnamese restaurant. This particular guy I'm talking about is working in Vietnam for a long time already. He even learned how to speak Vietnamese! After some greetings, he suggested a good Vietnamese restaurant where everything that is sold - from appetizer to dessert - is Vietnamese food. We hailed a cab and the guy talked to the driver on where to drop us. It was a smooth drive. Thanks to the guy, we arrived at a nice Vietnamese restaurant. The driver dropped us at Quán Ān Ngon restaurant. It was a busy one and has a lot of patronizers. Cabs come and go outside as people were going in and out of the restaurant. There was even a waiting list and lucky for us, since we're just 2, we were escorted to our table right away. The inside was like a mini food court with many stalls. The difference is, these stalls operate for one. The staff will give you the menu, you take your pick and tell it to the staff. The stall who is designated to make your food will then be notified of your order. So yeah, one stall is designated to probably cook pho, then one to make banh mi, and so on. I like the concept because while waiting for your food, you can watch these locals make your food. Cool, right? I recommend this place when you're in Hanoi. If you want to eat all your Vietnamese food cravings all in one place, then this place is where you will get it all. As for us, since we're a fan of soups, we ordered seafood hotpot. 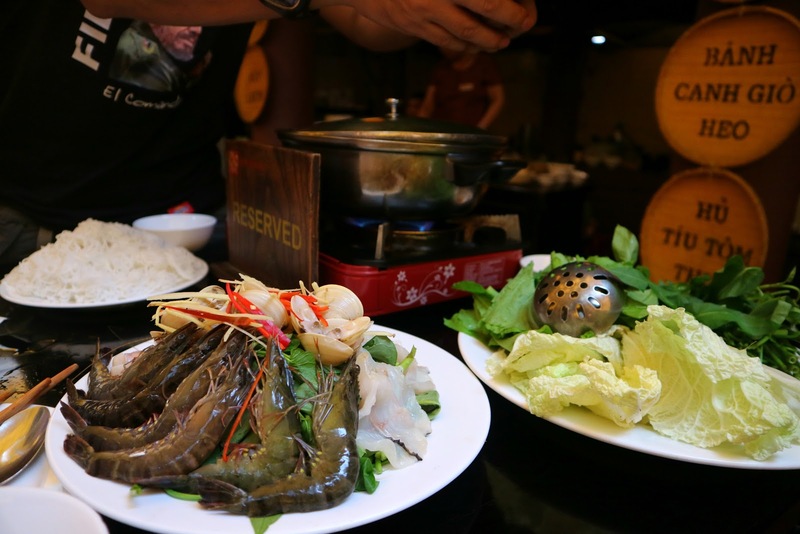 It comes with lots of vegetables, vermicelli noodles, different kinds of seafood, and the signature Vietnamese fish sauce with chilis. It was filling. Though we weren't able to finish the noodles as my father doesn't eat any type of carbs. Also, try their Hanoi beer. I think almost all South East Asian countries has a thing for beers. So after we stuffed ourselves. 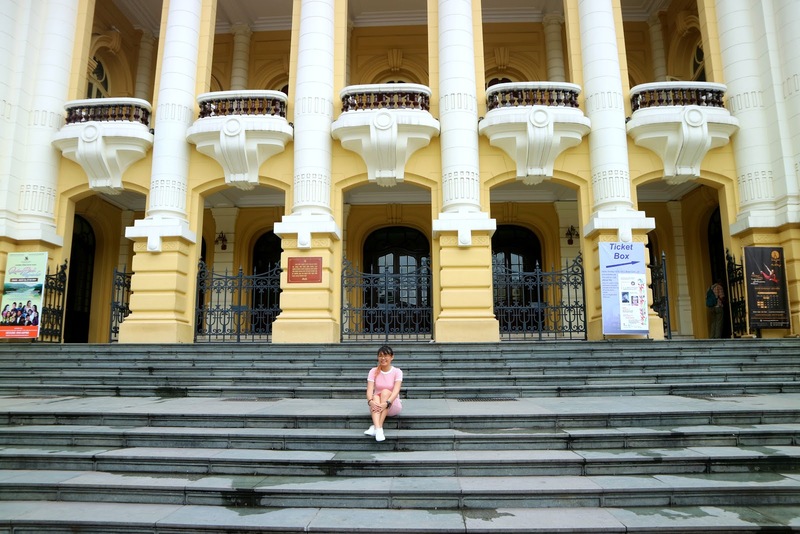 We went back to National Museum of Vietnamese History. As I was saying, I didn't know Vietnamese has a long history. I mean the only one I know is the Vietnam war I learned from when we visited Ho Chi Minh city. They have a specific museum just for Vietnam war and I remember being so sad reading the articles back then. Visit War Remnants Museum if you happen to be in Ho Chi Minh city (Sometimes also called Saigon), you will sure learn a lot! 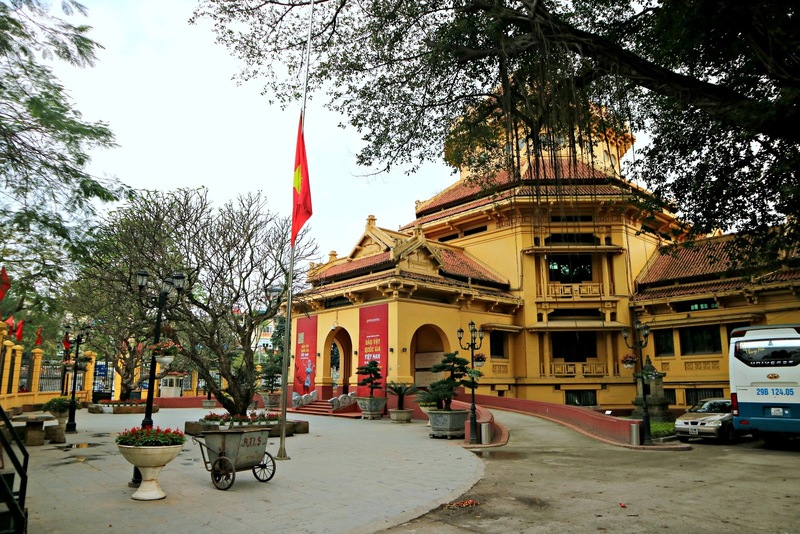 National Museum of Vietnamese History mainly focuses on the different dynasties. 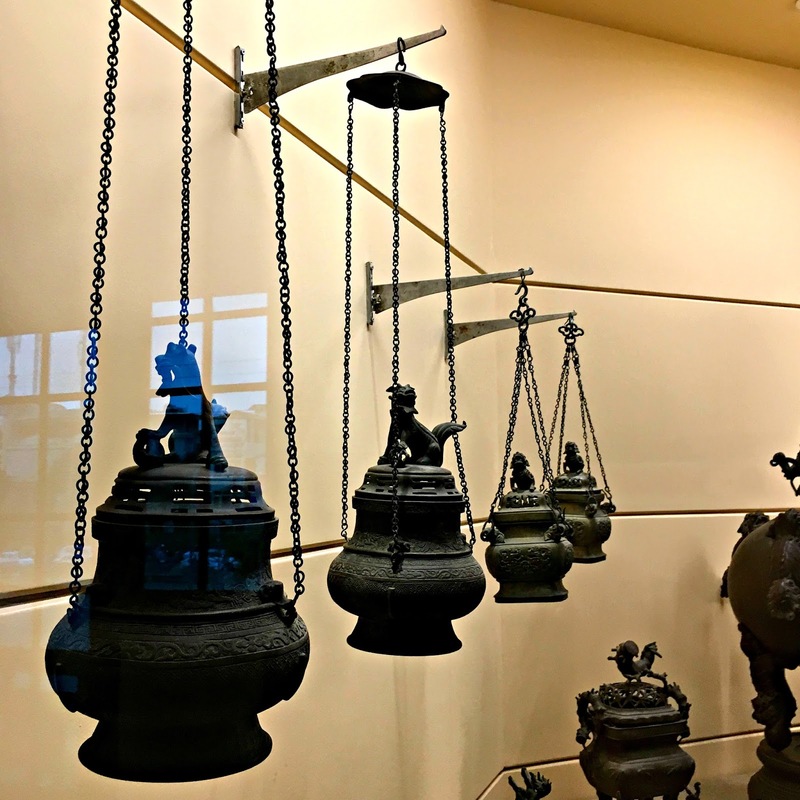 It also showcases artifacts and well, just like any museum, it showcases how the Vietnamese lived back then. The museum has 2 floors so be prepared to be taken back in time. Entrance costs 40000VND it you want to use your professional cam, they will also charge you like 10000VND I guess? I can't remember the exact amount though. The museum also has a garden beside the building. You can sit there and relax for a bit if you're tired from all that walking. Took some photos and rested for awhile. Then after some time, we walked back again to Hanoi Opera House and had coffee at Highlands coffee. Highlands coffee is a like a Starbucks here in Manila. It is almost everywhere! And did you know Highlands coffee is a Vietnamese coffee chain? Yup. It also started in Hanoi, Vietnam. This is also where my first interaction with Cà Phê Sua Dá is. The famous roasted black coffee with condensed milk. The place was cozy as it was outdoors. There are many types of seats to choose from in which I suppose are all comfy and cozy. What I liked in Highlands is they serve banh mi for only 19000VND!! That is like only P40 pesos. See how yummy and cheap can Vietnamese food be? That's why it's one of my favorite cuisines in the world. We rested there for awhile and took advantage of the free wifi. Coz you know, we need updates from the world wide web. Lol! And when it's already 4:30 or 5:00 pm, we went back to Hoan Kiem Lake to buy a Water Puppet Show ticket. This is actually my second time watching a water puppet show. 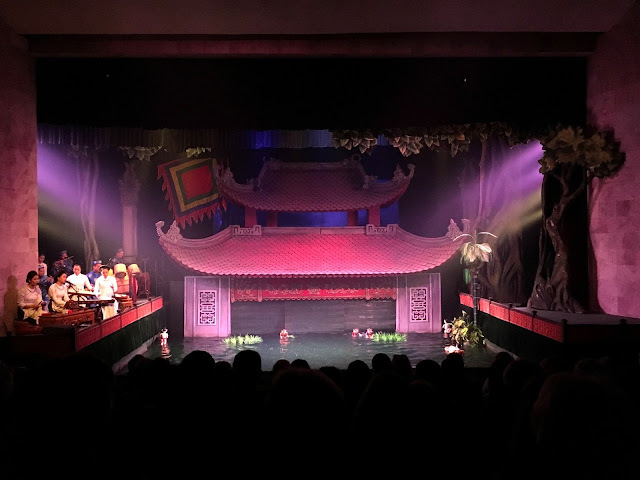 The puppeteers make it look like the puppets are floating in the water while a band or an orchestra plays the instrument to create music. The band is also the one dubbing the puppets. It is mostly staged in Vietnamese. And I hope one day, I could see an English show too because it is a great presentation, only that we don't understand much of it because it is in Vietnamese. 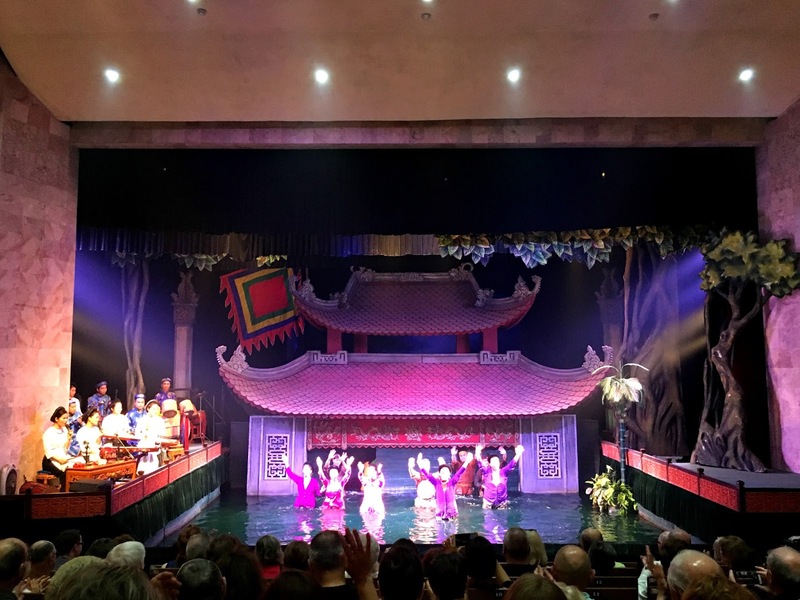 There are 14 acts in which it tells some Vietnamese folk tales while some showcases Vietnamese tradition. Water Puppet show is staged in different countries so it is quite exciting to see it in its root country. This one is must when you visit Vietnam. Before actually going inside the theater, since we still have an hour or so, we decided to visit St. Joseph's Cathedral. Also a walking distance and just on the other side of the lake. 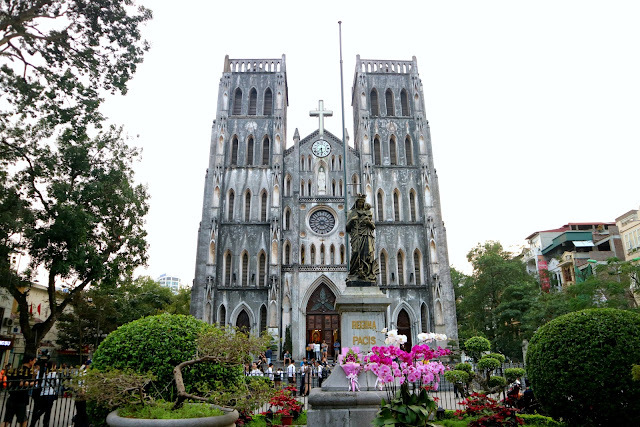 St. Joseph's Cathedral is the oldest Catholic church in Hanoi conducting mass for roughly around 4 million Catholics in the area. The church was established during the French colony so it is evident that it's exterior is somehow closely related to the churches in France. I think it is safe to say that the counterpart of this church in Ho Chi Minh city is the Notre dame Cathedral Basilica of Saigon located just in front of the Saigon post office. There was actually a mass going on inside when we visited. There are crowds of people outside and there a lot of food stalls scattered in the area. We wanted to see the ceiling of the church but we didn't go inside as there are a lot of people attending the mass. 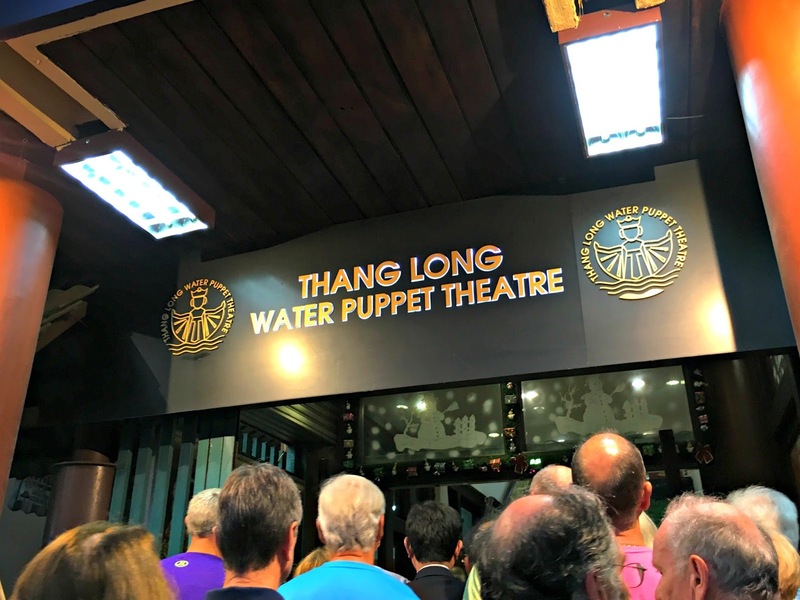 When it's around almost 6PM, we went back to the Water Puppet theater and enjoyed the show. 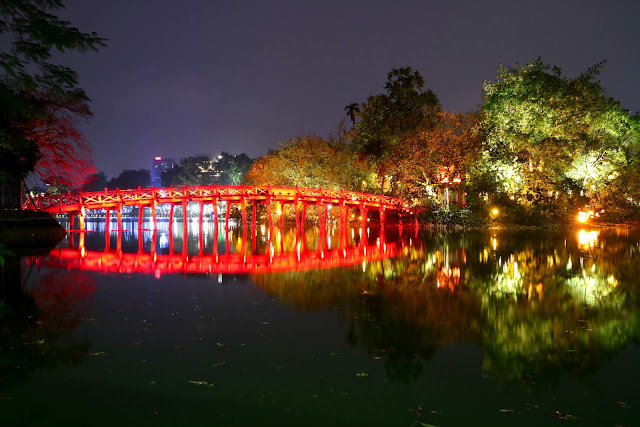 After the show, we went to see and take photos of the illuminated Hoan Kiem Lake and the Huc bridge. It's also beautiful at night time! And there are still people going in and out of Ngoc Son Temple. 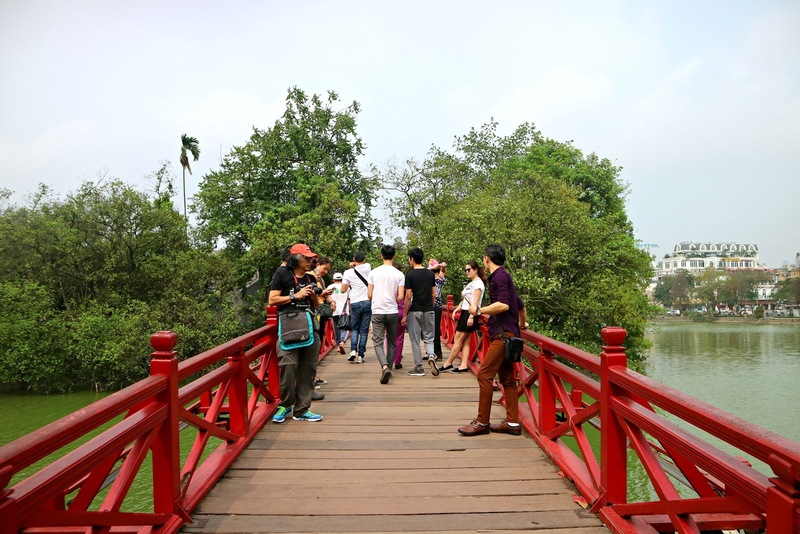 Just how many tourists does Hanoi cater? Hehe. And after a long day of walking and immersing ourselves with culture and history, off we go to have dinner then we went back to the hotel. You know what's fun in going to different places in a certain country? You get to compare the lifestyle of every people in each city. Most would say there are a lot to do in Saigon but food in Hanoi is yummier. As for me, I can't compare both as both gave me different experiences. From floating market in Mekong river to Cu Chi tunnels in Saigon. 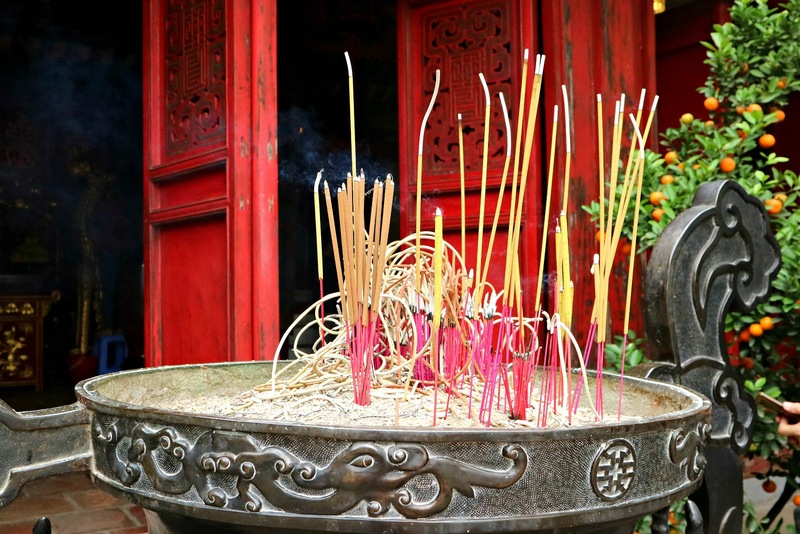 Then from old quarter to different temples scattered in Hanoi, there sure are a lot of things to do in Vietnam. 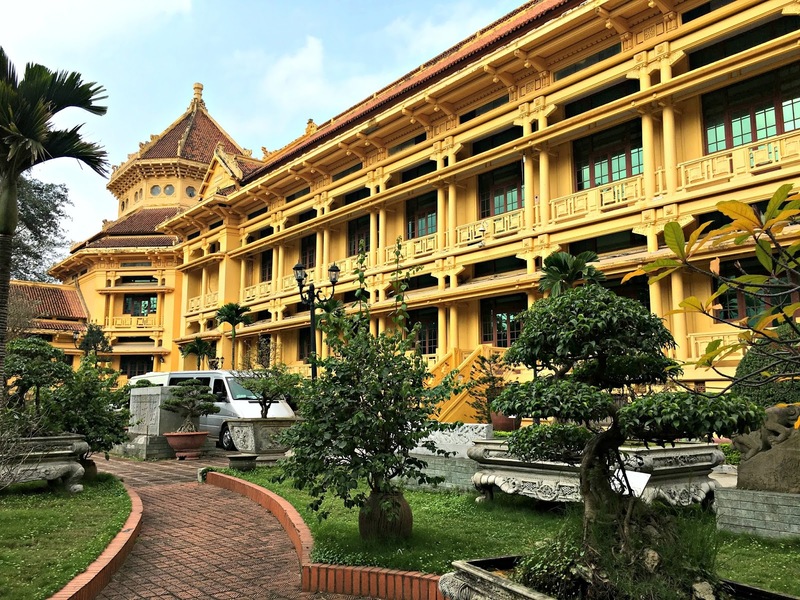 If you're that adventurous there are also other cities and places you can visit in Vietnam that is so much worth your time such as Nha Trang, Sapa, Hue, Ha Long Bay, and Hoi An. I don't think I'll be back any sooner but my love for Vietnamese food remains. Guys! I swear you should try eating authentic Vietnamese food. If you loved Thailand's pad thai and street food then you will most certainly love Vietnamese cuisine as well. 1. If someone told you there are a lot of cheap North Face, Kipling or other brands in Hanoi or particularly in the whole Vietnam, there is! But it is fake. If you're fine with that then go ahead splurge in bags as there are really a lot of vendors selling bags. 2. Which reminds me, haggle like there's no tomorrow. One time in Saigon's night market, I wanted to buy a dress wherein the vendor priced it at 400000VND. HELLO?! 1000 pesos for a maxi dress? No thanks, I'll just buy at Forever 21 or H&M. Again, these sellers think that travelers have loads of cash so they price you double or even triple! So what did I do? I gave her my price. 100000VND or I won't buy it. Then I was able to buy it. Lol! 3. Again. The food. You can't simply leave Vietnam without having your Vietnamese food fix. Take advantage of it 'coz it's really cheap. 4. The coffee! Vietnam is one of the world's top coffee exporter so it only means they have good quality beans. And again, it is cheap here. Coffee lovers rejoice! 5. Do not be a victim of any scams! Vietnam has all sorts of ways to rip you off. Be vigilant. I'll make a separate post about this. 7. Plan your itinerary carefully if you're crossing borders through your travels. Yes, Vietnam is close to Thailand, Cambodia, and Laos but you have to carefully plan out the travel time and mode of transportation you'll make. As I've said, backpacking ain't easy. 8. Ask for a map from your hotel! 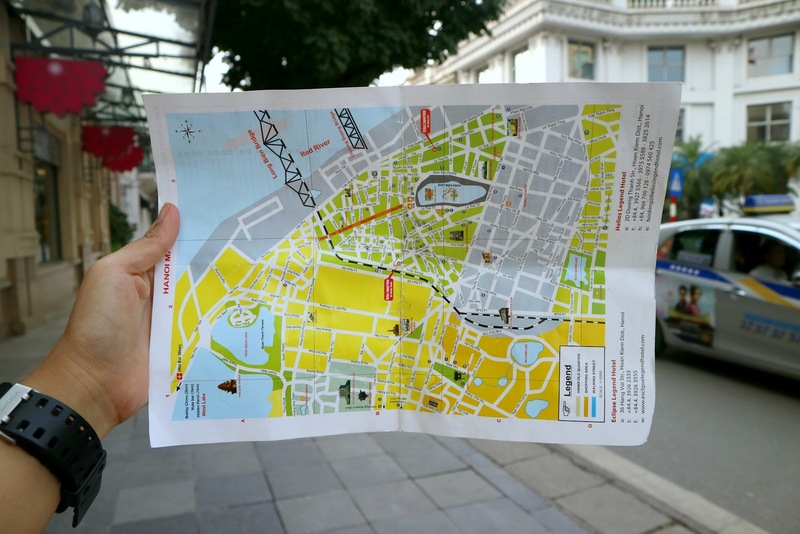 It would be a lot easier to roam around and go to different places if you have a map. And besides, old quarter is just a small place so you can navigate the places without having a hard time. Quite a detailed travel blog article!! I love it. 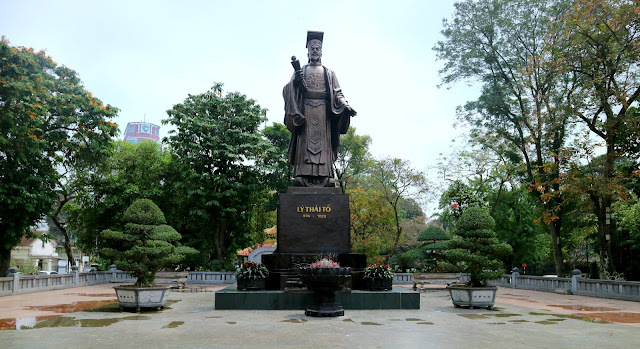 I've also been to Vietnam, but went to explore Ho Chi Minh. I would love to go back and see Hanoi too! I'm definitely bookmarking this article for future itinerary reference :) thanks for sharing! 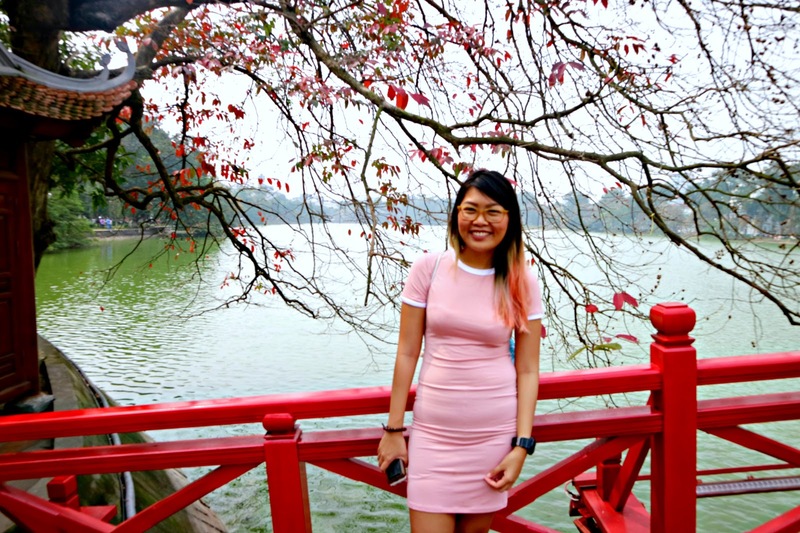 My sister will be visiting Vietnam at the end of the year and your post will surely help her explore the places. They don't have a tour guide so having some spots to venture will surely help them save time. Visiting other places surely gives you interests on discovering their local dishes and picturesque places. Pho is the best! Waaaah.. On our first visit, I'm also kinda hesitant and convinced at the same but the price is too good to be true so nahhh. hehe. Thanks for visiting! Aww... this post made me miss Hanoi. My husband and I went there for our first wedding anniversary and we felt like we could totally live there! We loved everything about Hanoi, especially the food. Everything was yummy! Okay, the only thing we didn't like were the motorcycles. Hehe. We didn't really have a detailed itinerary. 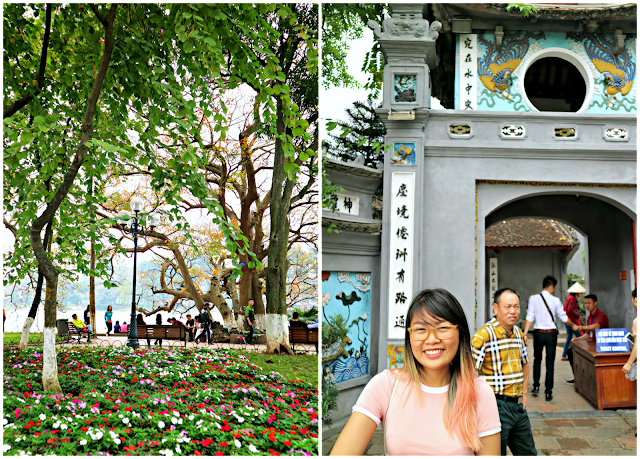 We just went to Halong Bay and most of the time, just strolled around the Old Quarter and Hoan Kiem Lake. It's so beautiful at night! Your photos are gorgeous! You're right about the Water Puppet Show. The reason why we didn't watch is because we wouldn't understand it. I wish there would be an English version one day! Just got confused of the price of the dress you bought it was originally 40000VND and you were able to buy it for 100000VND? Anyways, Vietnam is a nice place. Too little I knew about the country but from your blog, seems like there are a lot to enjoy there. Thanks for pointing that out! It's 400,000VND. I just edited the post. hehe. And yes, there are a lot to do in Vietnam! Hanoi! The placr I have been meaning to visit soonest. Unfortunately, my plan always changes as more important life milestones happen. I still see myself visiting Hanoi and enjoying it to the fullest with or without a company. There was some quite contradicting prices on your tip # 2. 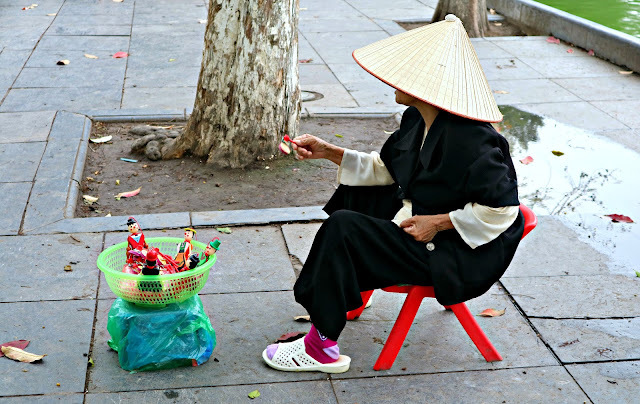 The vendor's price was 40k VND but you gave her a 100000VND and accepted it? Anyway, lovely photos! Thanks for the tips as this will be the next country in our list :) Helpful post! Vietnam is high on my list of places to visit. Need to keep atleast 2 weeks for this... right? Vietnam coffee is something I would like to bring back with me. Thank you so much for bringing me in Hanoi. This is really written very well like as if I'm traveling with you. Vietnam has long been on my bucket list and I can't wait to visit this country soon. For now, I really enjoy your blog about Hanoi, the places, the scenic views and your experiences. Thank you so much for sharing! Awww It hurt me a bit when you said museums are boring. It's the opposite of me. I LOOOOOVE museums! I don't care if I get to walk a lot of floors, I just need to see every bit of exhibit in it. Hanoi holds a very rich record of their history, I am glad that you were able to see some of them. 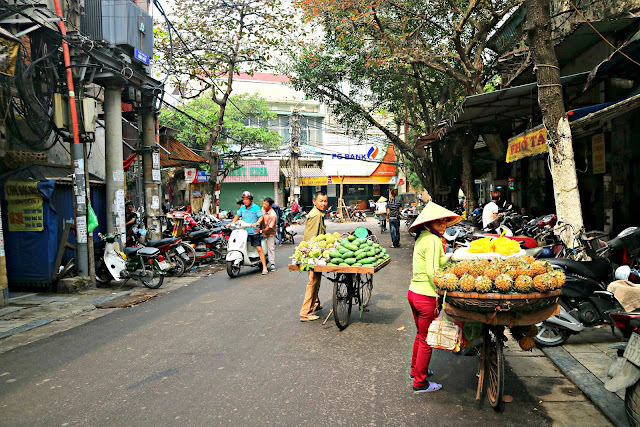 Thanks for this very comprehensive blog of Hanoi! We are planning to go there this year. 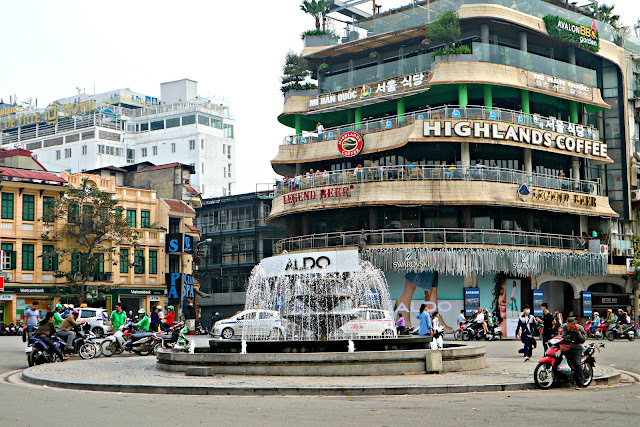 We have been to HCM twice but some say that Hanoi is better...I'll be the judge of that after our Hanoi trip. Is it bedt to stay in the Old Quarter area if we want to be near everything (night market, convenience stores, church, etc)...Im planning to book for a Hanoi-Halong Bay tour but ofcourse, walking and exploring during free time is what i like best! I think a clicked the wrong button...anyway i will comment once again....Thanks Maaya for this wonderful and very informative blog...I will try to book for the Old Quarter area as this seems like the center of activities. 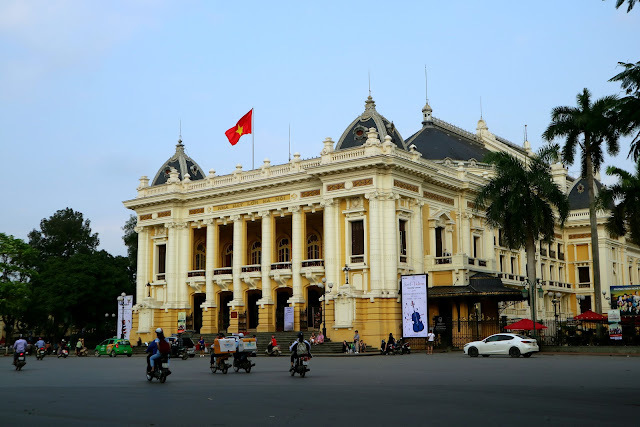 Im planning to take the Hanoi-Halong Bay tour but what I like best is exploring a new place by foot while observing people's culture...been to HCM twice and i think its time to visit Hanoi...thanks again!